Coffee Creek RV Resort & Cabin’s hospitality and amenities are tailored to make your stay as enjoyable and relaxing as possible. Come see for yourself. 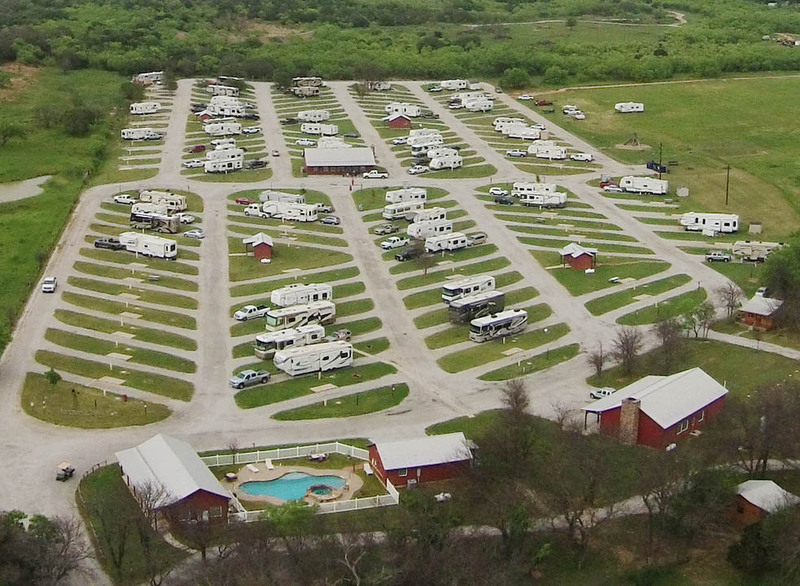 Coffee Creek RV Resort & Cabins is located in the beautiful town of Santo,Texas and is a great spot for a fun and relaxing southern escape. Campers can look forward to offsite attractions like the Way Out West Shooting Range, Sugar Tree Golf Club and the Natty Flat Campground and there’s also a number of great local eateries, and conveniences like gas stations all around the park. Onsite, there’s plenty of opportunities for fun like horseshoes, volleyball and fishing. Amenities at the park include: a recreation room, WiFi, water, sewer, showers, fishing pond, dog park, 30/50 amp sites, playground, propane and cable. Hope to see you soon! Cabins offer limited furnishings and feature easy access to onsite amenities like a recreation room, WiFi, water, sewer, showers, fishing pond, dog park, 30/50 amp sites, playground, propane and cable. Sites are also just short drive from local attractions like the Way Out West Shooting Range, Sugar Tree Golf Club and the Natty Flat Campground and there’s also a number of great local eateries, and conveniences like gas stations all around the park. Onsite, there’s plenty of opportunities for fun like horseshoes, volleyball and fishing. RV sites feature easy access to onsite amenities like a recreation room, WiFi, water, sewer, showers, fishing pond, dog park, 30/50 amp sites, playground, propane and cable. Sites are also just short drive from local attractions like the Way Out West Shooting Range, Sugar Tree Golf Club and the Natty Flat Campground and there’s also a number of great local eateries, and conveniences like gas stations all around the park. Onsite, there’s plenty of opportunities for fun like horseshoes, volleyball and fishing.